When many of us were in college (and sometimes many years after), there seemed to be no greater meal than a piping hot bowl of Top Ramen. When we visited our family, we bought it in bulk and returned to school with the package under our arm, nestled like a beloved family pet. As we aged and our tastes became more “grown-up,” the love for instant ramen dwindled, but there was always a little piece of us that would easily turn down a fancy four-course meal for a nice, steamy bowl of Top Ramen. It’s the same piece of us that would throw down our hard-earned money for a Top Ramen T-shirt or Cup Noodles hat. 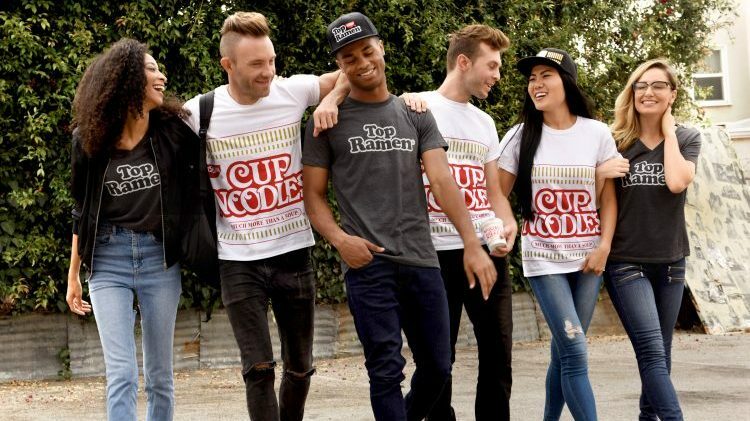 Sadly, there’s never been an official supplier of Top Ramen and Cup Noodles swag…until now. Beginning on Oct. 4 (just in time for National Noodle Day on Oct. 6), the two beloved instant ramen brands will sell much more than noodles. Parent company Nissin Foods just launched an online store to sell all manner of Top Ramen and Cup Noodles limited-edition merchandise. Join The Debate: Why Do We Love To Hate Pumpkin Beer? Show your friends and family how much you love instant noodles by adorning your newborn baby in a branded onesie or jazzing up your boring, dreary couch with some Top Ramen pillows. 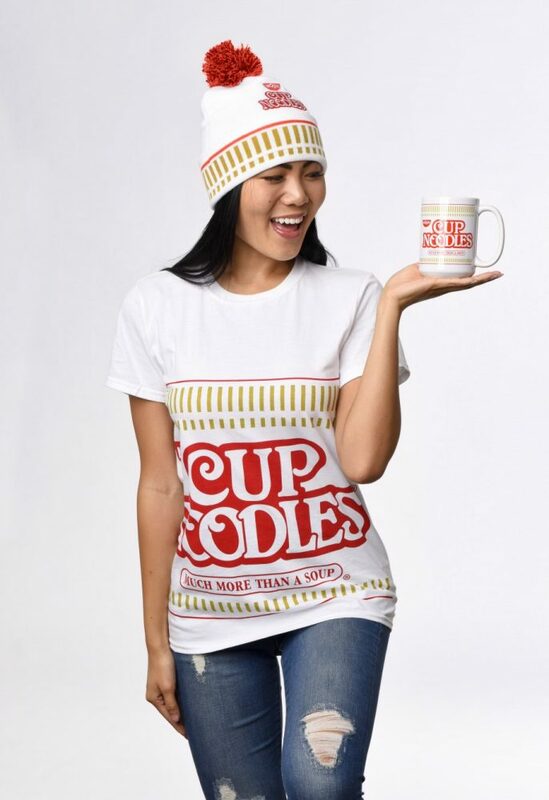 You can also purchase Cup Noodles and Top Ramen T-shirts, winter hats, baseball caps, and even a Cup Noodles mug to fill with your morning coffee or perhaps instant ramen.